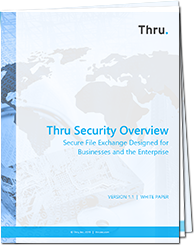 Read the Thru Security Overview white paper now. * Data centers are ISO certified. Thru products are ISO compliant.